The Norwegian chamber orchestra Trondheim Solistene has ten recordings to its credit, although on about half of those the ensemble is playing in support of star classical soloists, such as Anne-Sophie Mutter. 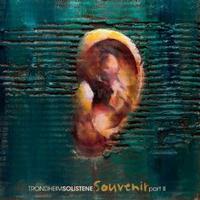 It’s newest recording, Souvenir, is available from the Norwegian label 2L in high resolution download formats, MP3, Blu-Ray audio, and LP. I received a copy on LP, pressed on two 180 gram records housed in separate covers (Souvenir Part 1—2L-090A-LP and Souvenir Part II–2L-090C-LP). 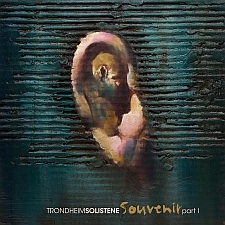 The producer, Morten Linberg, recorded Trondheim Solistene in Selbu Church in Mebonden, Norway. He arranged the musicians in circle, rather than in the traditional rows and sections of a chamber orchestra. The musicians were all the same distance from the microphones, which were placed in the center of the room. The recording places you in the middle of the orchestra, even in two channel sound, and the music envelops you. Both LPs include one work each by Tchaikovsky and by Danish composer Carl Neilsen. The first record comprises Tchaikovsky’s Serenade for Strings in C (Op. 48) and Neilsen’s Suite for String Orchestra (Op. 1). The second record includes Tchaikovsky’s Souvenir de Floence and Nielsen’s brief “Ved en Un Kunstners Baare” (“At the Bier of a Young Artist”). I’m a little out of my element with classical music, but I think I can describe the things I like about these performances, and this pressing in particular. Neilsen’s Suite for String Orchestra, in three movements, is romantic and dramatic, with great dynamic range that shows the orchestra’s capabilities, as well as the excellence of the recording. It’s easy to hear each section and instrument of the orchestra during the louder, more intense passages, as well as the texture of the strings when they are plucked during the quieter sections. Tchaikovsky wrote the Serenade for Strings in 1880 and it is one of his most popular compositions. After finishing it he wrote to his publisher, “I am violently in love with this work and cannot wait for it to be played.” He wrote it in homage to Mozart, drawing on classical forms while expressing deep emotion typical of the Romantic era. The piece is harmonically rich and this recording captures the complexity and subtlety of the interactions of the string sections. Tchaikovsky’s Souvenir de Florence takesup most of the second LP of Souvenir. The composer originally meant it to be performed by a string sextet, although it has often been arranged for a string orchestra. The first movement is highly animated, building in intensity, but creating tension through contrasting quieter sections. The second movement contemplative, with the higher register strings carrying the melody and the lower register creating the harmonic foundation on plucked strings. The third movement is emphatic and up-tempo, and the closing movement is rhythmic and exciting, bringing the piece to a stirring close. Neilsen wrote “Ved en Un Kunstners Baare” in 1910 in honor of the Danish painter Oluf Hartmann. He originally composed the work for a string quartet to perform at the painter’s funeral, then adapted it for a larger orchestra two years later. At just over four minutes, it is the shortest track on the second LP. The composition is an elegy, but it also evokes the pastoral qualities of some of Harmann’s paintings. Its mood mirrors the second movement of the Tchaikovsky piece on the LP. The output on the LPs is higher than I expected given the running times for each side, but dropping the volume brought the music into focus. The recording puts you into the center of the orchestra, where you can hear the players interacting. You also get a sense of the dimensions of the room where the music was recorded and the acoustic interaction of the instruments and recording space. I compared the recordings on this LP with other recordings of the same compositions, and this one pulls you deeper into the music. The pressing of both LPs is first class, the records are nicely packaged, and the music is sublime. Souvenir gives you an intimate understanding of this music, and pressing it on vinyl was a brave move.